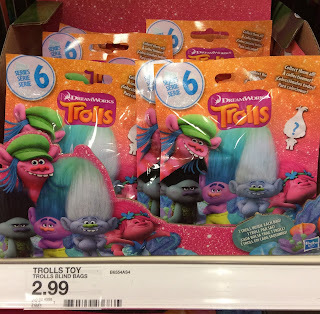 The Target Saver: Target: 70% Off: DreamWorks Trolls Surprise Mini Toy- ONLY $0.89! Target: 70% Off: DreamWorks Trolls Surprise Mini Toy- ONLY $0.89! Are you looking for some cute Easter Basket gifts? Check out these DreamWorks Trolls Suprise Mini Figure Toys at Target. Right now they are 70% off on sale for 89¢ down from $2.99. If it is easier you can shop online at Target.com to get the same price and get FREE in store pickup.